Ben, this is an excellent post on a frequent source of pain and disability for many people injured in automobile accidents. The research in this field, particularly concerning pain and nerve fibers within the disc, helps to explain why people can have severe pain with "normal" MRIs and CTs. There is a lot of research being done in this field right now confirming that the pain that can be caused by these injuries can be quite severe. Whith this in mind, any information on benefits or injury via high grade spinal manipulation? Todd, I don't have any definitive information regarding the benefits or risk of injury with spinal manipulation in cases of discogenic pain. If you have any information to share regarding this topic, please respond. I'm sure that our readers would be interested. This is great information. 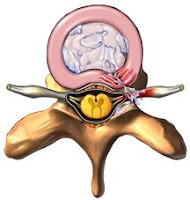 I had the opportunity through the American Academy of Medical Legal Professionals to review a series of articles that documented the innervation of the intervertebral disc. In particular they looked at healthy discs and degenerative discs. In the healthy disc, it was show via microscopic photographs that the outer 1/3 of the annulus fibrosis is innervated with pain fibers, just as you mentions. 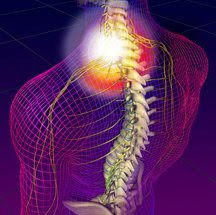 In the degenerative disc they found that the nerves actually grew inward as the disc degenerated! In some cases the nerves went all the way to the nucleus pulposus. The authors stated the more the degeneration the more nerves. You mentioned inflammatory mediators in your articles; the authors reported that in these degenerative discs all it takes is a minor trauma to start a cascade of pain events. This is precisely why in my practice I see asymptomatic patients with disc disease have a traumatic event and become disabled. This is information correlates so well with your article. Thank you for that information.